Commnet is dedicated to giving back to the communities where we live, work and provide communication services. Whether we act as a corporation or as individuals, our goal is to engage in initiatives that enrich lives. The Commnet Atlanta office spent a day in April sprucing up the grounds of the Chastain Conservatory, Atlanta's beautiful 260+ acre park enjoyed by residents and visitors year–round. Volunteers are very important to the development and upkeep of this historic park. 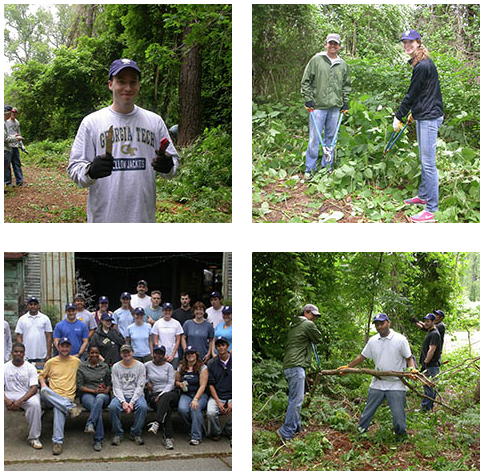 A large group of Commnet volunteers worked to clear overgrown areas of the park, removing brush, trimming, raking and weeding. It was a rewarding day for the park and for Commnet volunteers as the signs of their day's work were clearly visible for all to enjoy. 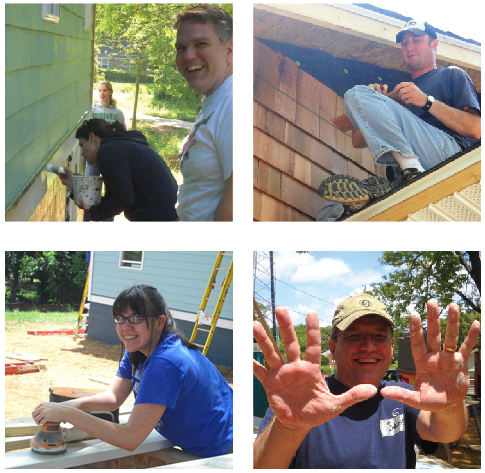 The Rincon Commnet office took part in sprucing up a Habitat for Humanity home near Savannah, Georgia in April. 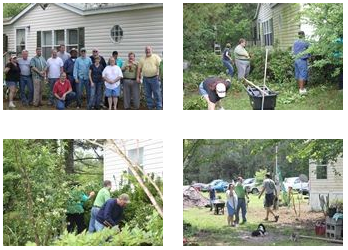 The group rolled up their sleeves and went to work clearing brush, trimming and planting, making a big difference in the exterior appearance of the home. Thanks to the employees at Commnet company headquarters, we were able to help build a home for a habitat family in Atlanta, Ga. Habitat for Humanity is a nonprofit organization that provides shelter for families in need around the world.